Indemnification provisions are often written into construction contracts. This is likely the case where the parties to the contracts are faced with a project or certain circumstances that comes with a high risk of loss or damage. These clauses are also seen in circumstances where there is a high risk of breach of contract, possible third-party claims or non-performance for one reason or another. Essentially, an indemnification clause is an agreement made prior to any loss or damage that the person causing such damage will be financially responsible for the damage or loss. The nuanced aspect of indemnification clauses is that the party seeking the provision may sometimes fail to verify if the indemnified party is able to meet the financial obligation in case of damage or loss. The following outlines a few considerations that must occur before becoming a signatory to an indemnification clause in a construction contract. Indemnification provisions are normally mutually beneficial. It is rare that a bilateral contract will contain a unilateral indemnification provision that benefits only one party. Attorney involvement is advised when negotiating and drafting these delicate provisions in construction contracts. The language of the indemnification provision should make reference to both parties’ obligation to reserve legal blame in the case of breach, negligence or misconduct. In addition to reserving blame, the provision must make reference to the type of occurrences that will trigger the indemnification clause. These circumstances, as discussed above, include loss, damage, and cost in relation to the construction work. The reserving blame portion of the provision details a promise to keep any loss and damage disputes out of court for the purposes of determining blame. The indemnification portion is a promise to compensate the other party should the damage or loss occur. If you are a party to a contract containing a unilateral indemnification provision, the best thing you can do is to negotiate a narrow provision. A narrowly construed indemnification provision is advantageous for the obligated party. The more narrow (covering fewer occurrences of damage or loss) the provision the more likely the obligated party can seek legal recourse should the receiving party be at fault. There is another important consideration to be made when agreeing to indemnity. It is wise to determine if the other party is solvent enough to adhere to indemnity should loss occur. It is often the case that the party is not solvent, but has insurance coverage that will extend to such losses. The next issue is to discover what the insurance covers and what it does not. Unfortunately, without seeking out this information, many contractors and owners discover that the other side cannot meet the indemnification provision. Sweeney Law, P.A. 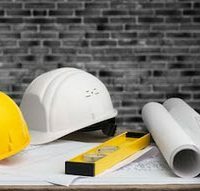 is a knowledgeable construction law firm with years of experience advising professionals in the construction field by assisting with the drafting and review of construction contracts. Our team is here to guide you through any legal pitfalls that can arise as a result of an indemnity provision. Contact us now for a consultation.